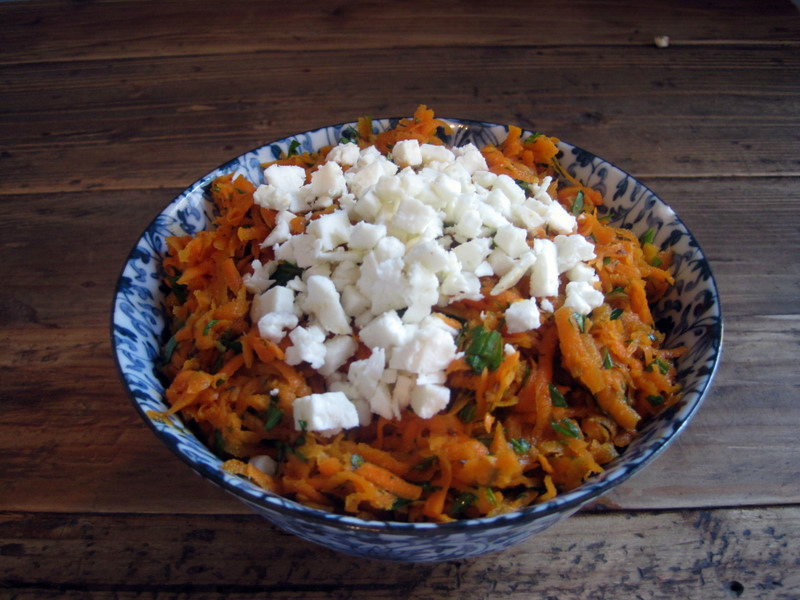 This carrot salad is awesome – the spicy harissa, cool mint, acidic lemon, and creamy feta all balance each other well. I didn’t think of it when I made this salad, but I plan on adding some golden raisins next time I prepare this because the sweetness should be a great addition! 1. In a saucepan over medium heat, cook garlic, caraway, cumin, paprika, harissa, honey, lemon juice, and salt in the olive oil for 1-2 minutes. Remove from heat and add mixture to grated carrots. 2. Add herbs and stir until combined. 3. Top with crumbled feta. 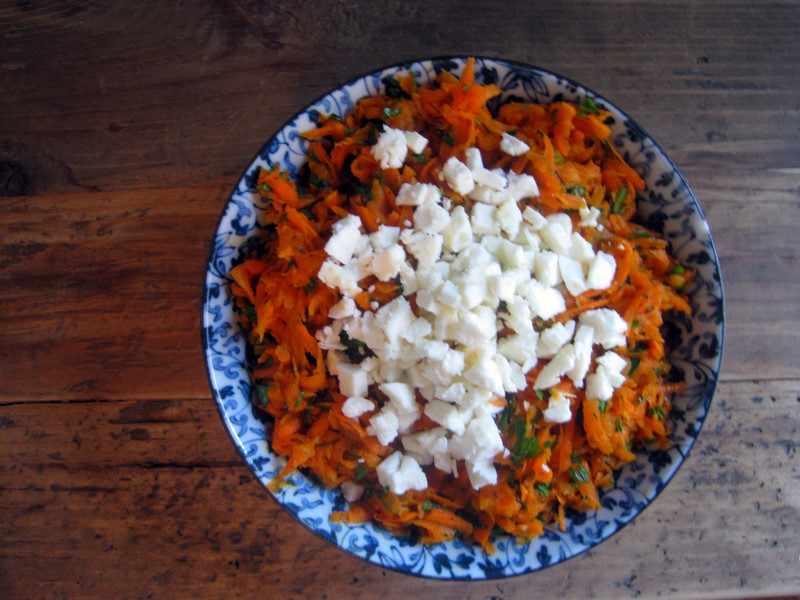 I love carrot salad, and this is by far the best recipe I’ve discovered. The ingredients are so complementary, and it appears relatively easy to prepare. I will attempt it, and let you know how I fare. I am really enjoying this blog!